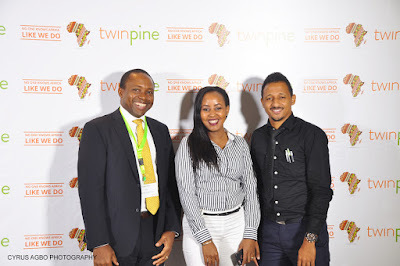 Twinpine, Africa’s pioneer and premium mobile marketing company celebrated its fifth year of operations this year. Officially launched on August 1, 2011, the company was founded with a vision to help brands and businesses get more value from the primary channel that connects Africans to the world - Mobile. 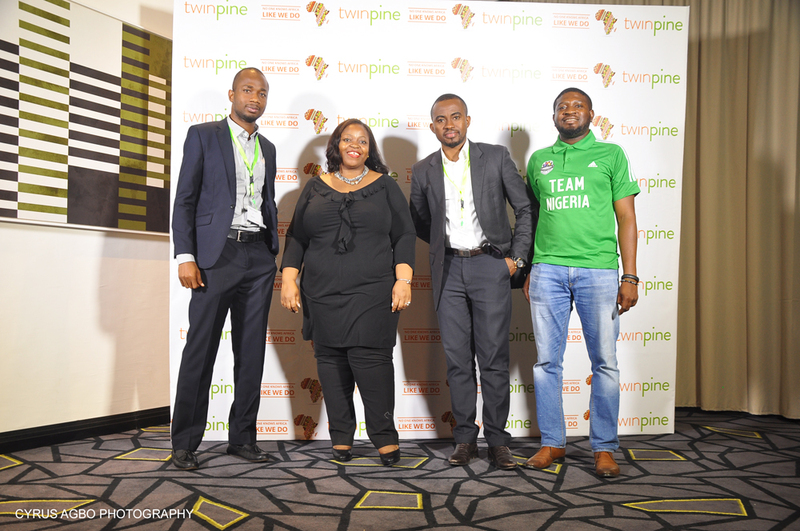 The exclusive event hosted various digital marketing agencies, brand owners, IT experts and media practitioners to an event tagged “An Evening of Innovation with Twinpine” at the Renaissance Lagos Ikeja Hotel, Lagos on Thursday November 17, 2016. Themed, The Future of Mobile Marketing: Data, Performance and Personalisation, the event buttressed predictions that personalised marketing, performance, and convergence through collection of consumer data will be key drivers of marketing communications in 2017 and beyond as brand owners seek to build on their equity and return on investment (ROI) despite the recession. At the event, Twinpine unveiled its new ad formats (Native Ads, 3D Ads, Brand Cast, Call-to-Action Ads), Twinpine’s Mobile Intelligence Portal, Programmatic Platform and Adrenaline. 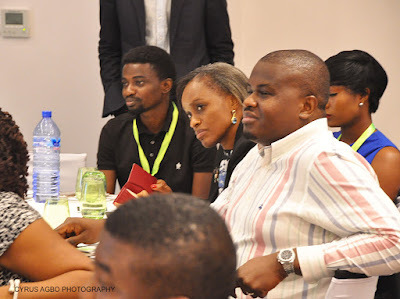 Special guests at the event were: Omobola Johnson, General Partner at TLCom Capital; Oti Ukubeyinje, Media Director at Sponge Digital; Jumoke Okikiolu, Head Product Marketing at Samsung West Africa; John Iseghohi, Digital Marketing & Strategy at Etisalat; and Tunde Kara, Director, Sales & Bus Dev (Pulse.ng) Ringier Africa. Dr. Eugene Ohu, Faculty, Lagos Business School; Teresia Kinuthia,Regional Manager, East and Central Africa,Terragon, Dr. Francis Okoye, Lagos Business School. Josephine Sarouk, Senior Manager, Corporate Segment, MTN Nigeria; Onyinye Ikenna-Emeka, General Manager, Enterprise Marketing, MTN Nigeria; Lorenz Mba, Consultant, Canig Innovative Solutions. Ige Temitayo, Strategy Lead, Ogilvy Africa; David Ole,Planning Director, Sponge Group; Oti Ukubeyinje, Media Director, Sponge Group. Jody Samuels, Director Innovation, Diageo. David Ole, Planning Director, Sponge Group; Oti Ukubeyinje, Media Director, Sponge Group; Tunde Kara, Director, Sales & Bus Dev (Pulse.ng) Ringier Africa; Toheeb Azeez, Media Manager, Nigeria Breweries; Odubanjo Anu, Content Director, Iconway. 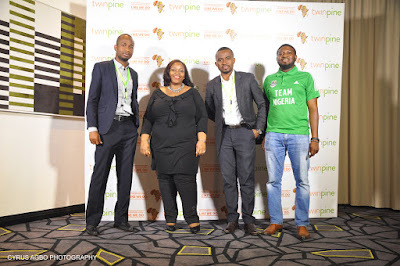 John Iseghohi, Digital Marketing & Strategy at Etisalat; Oti Ukubeyinje, Media Director at Sponge Digital; Tunde Kara, Director, Sales & Bus Dev (Pulse.ng) Ringier Africa; Oduntan Odubanjo, Chief Operation Officer, Twinpine. Chika Nwobi, Founder/CEO, L5LAB; Tom Terbell, Partner Rise Capital; Peter Ajegbomogun, Managing Partner, WebCoupers. Elo Iyayi, Managing Director, Sharemind Lagos; Oluwole Olukoju, Digital Strategist, Sharemind Lagos. John Iseghohi, Digital Marketing & Strategy at Etisalat; Oti Ukubeyinje, Media Director at Sponge Digital. John Iseghohi, Digital Marketing & Strategy at Etisalat; Oti Ukubeyinje, Media Director at Sponge Digital; Tunde Kara, Director, Sales & Bus Dev (Pulse.ng) Ringier Africa. Dr. Francis Okoye, Lagos Business School. Dr. Eugene Ohu, Faculty, Lagos Business School; Teresia Kinuthia,Regional Manager, East and Central Africa,Terragon. Chika Nwobi, Founder/CEO, L5LAB; Omobola Johnson, General Partner at TLCom Capital; Nneka Nwobi, Non-Executive director, Terragon. Essien Ekemini, Brand Manager, Ribenna; Rosemary Akpo, Africa Marketing Director - Ribena. 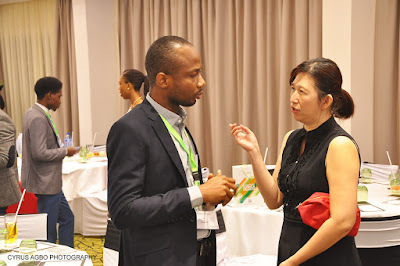 Micheal Hu, Country Manager,Afmob Nigeria; Ian Pan, Marketing Manager, Tecno Tablet; King Dong, Country Manager, Transsion Holding; Philicia Lai, Assistant GM,Afmobi Africa; Elo Umeh, Founder, Twinpine; Tosin Sawyerr, Head of Business Development, Afmobi Nigeria. Lara Obaremi Oyinda, Head of digital media Trading: Bytesize Limited.